Identification of key diseases and specific research protocol drafting. 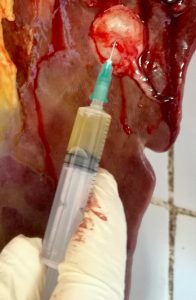 The first objective identified is the study of cystic echinococcosis (CE), is a zoonosis caused by the larval stage of the species complex of Echinococcus granulosus sensu lato (s. l.). 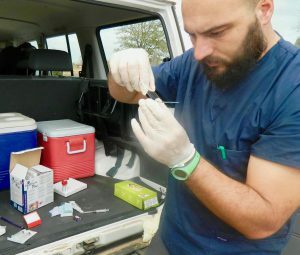 This disease still represents a major public health concern worldwide and is currently among the five most frequently parasitic zoonoses (Varcasia et al., 2011). This disease was known since the ancient times, as the tales of Aristotle and Hippocrates testify (Sotiraki et al., 2003). Starting from previous works in the geographic areas of interest, we try to integrate the information already available with field studies that could be adapted to logistic and scientific needs. Our focus will be on parasitic diseases that have different implications for the health of humans, wild animals and livestock. The first step is to evaluate the health status of livestock and once clarified this issue, the risk for human populations and how these diseases may have an interface between wild and livestock will be assessed. As a study area the Limpopo National Park, with an area of about 1000000 ha has been chosen. 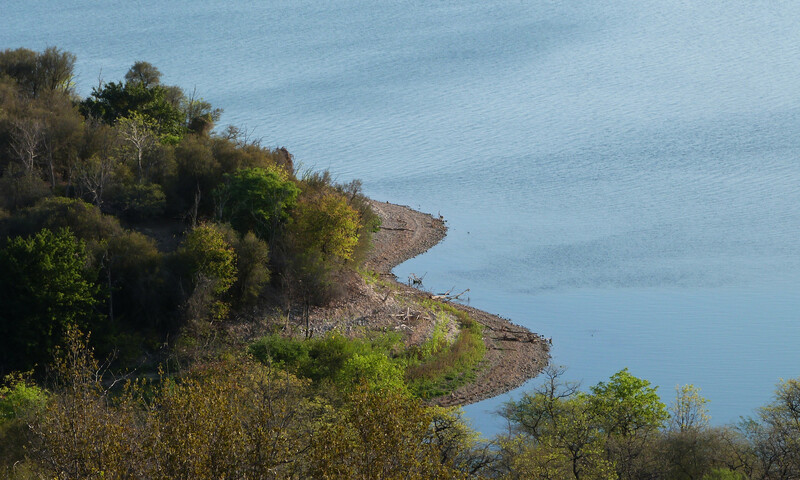 It is part of the Great Limpopo Transforntier Conservation Area and is a target area for the SECOSUD II project. The epidemiological study will focus on the interfaces livestock / wildlife / human populations. Transmission of CE depends on several factors such as high number of dogs, prevalence of illegal slaughtering and other socioeconomic and cultural conditions. The genetic diversity of E. granulosus s. l. species complex is considerably high and has been divided into genotypes (genotype groups) G1-G10 (Bowles et al. 1992, 1994; Lavikainen et al. 2003). The evidence of various morphological, host range and life cycle differences between genotypes have given grounds to consider several of these genotypes as separate species: E. granulosus sensu stricto (s. s.; G1 and G3), E. equinus (G4), E. ortleppi (G5) and E. canadensis (G6-G10) (Thompson and McManus, 2002; Lymbery, 2017; Yanagida et al. 2017), even recently it has been suggested that G6/G7 and G8/G10 are in fact two distinct species (Laurimäe et al. Submitted, 2018). However, no information is available about the role of different genotypes of E. granulosus in Mozambique. 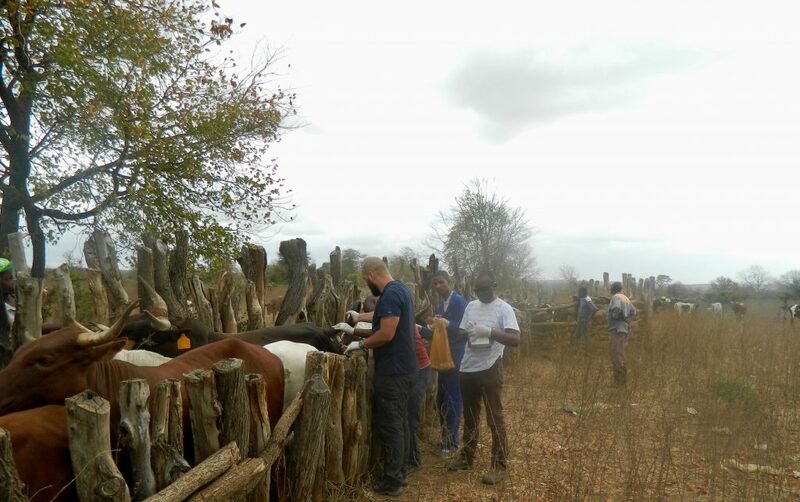 Therefore, the goal of the present survey is to carry out an epidemiological study on the presence of E. granulosus in cattle, sheep and goats from Mozambique and, also, to evaluate the species and strains circulating in these animals, with the aim to contribute in a better definition of their role in the transmission dynamics of Cystic Echinococcosis in this African country. DISCLAIMER: Raw content included for documentation purpose. If you are susceptible to the elements described below, we advice against viewing.